On 30th March 1946, he arrived at "104 PDC" (Personnel Despatch Centre) at Hednesford, Staffordshire, and was released from Service. 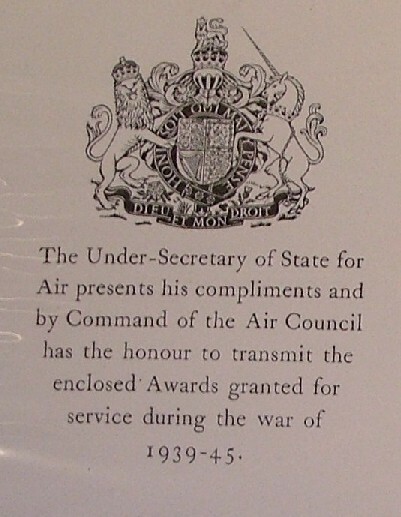 Allan had flown a total of 992hrs 40mins in his RAF career. He never did see action, but he did see the enemy, just once. He was taking a Hurricane to Burma, when he saw an enemy aircraft. 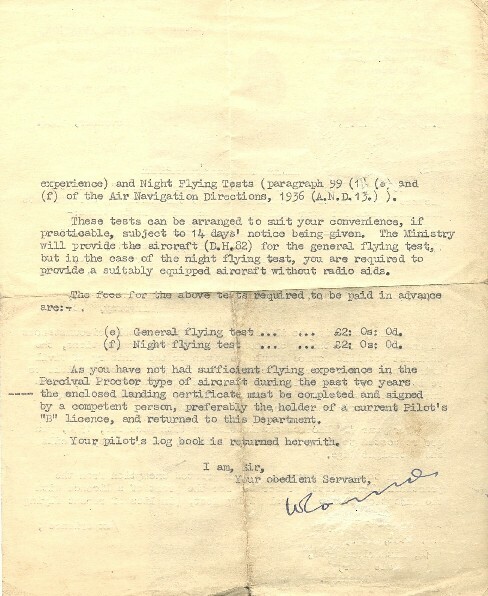 As his aircraft was being ferried, it was not armed, so as Allan said to me "I just got the hell out of there"! 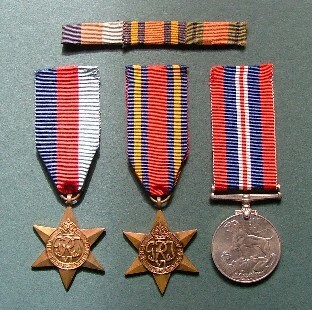 The medasls are pictured below, but strangely, the ribbon I have (rather faded) does not have the War Medal on the right, but instead has the Defence Medal. 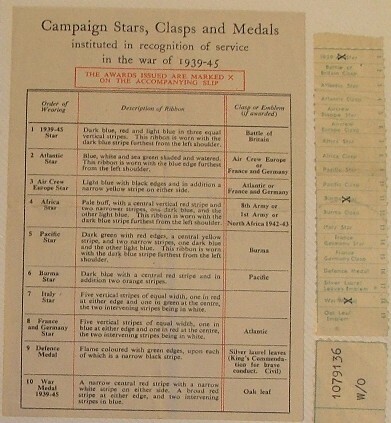 The Defence medal was, I believe, only awarded to civilians, therefore I wonder whether the ribbon belongs to someone else. Here are some German Insignia that Allan brought home. 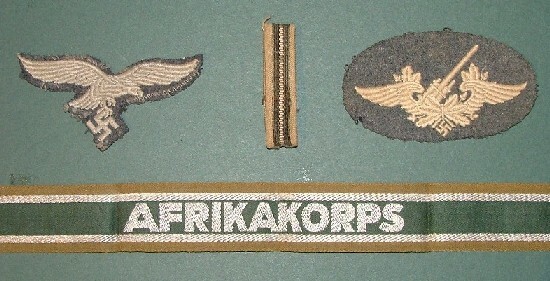 I assume he got these from somebody else as he never saw any German military personnel, and certainly was never in Africa! 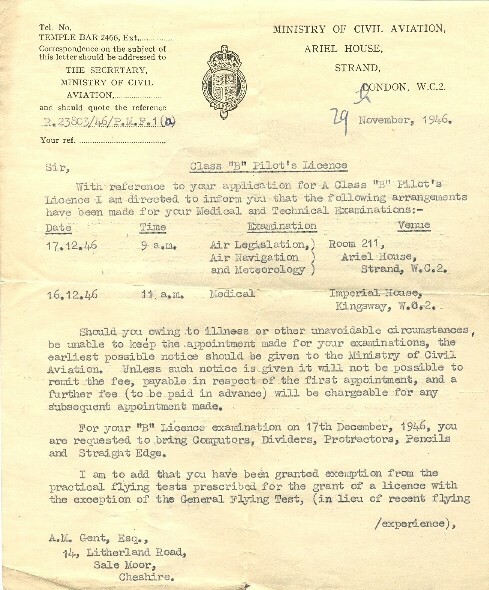 Indeed, even though my father flew nearly a 1000 hours during the war and travelled around the world, once he was demobbed in 1946, he never flew in another aircraft of any description (either as a pilot or passenger), and never left British shores again. Allan married Irene Harvey in July 1947 in Didsbury, Manchester, and lived in Flixton, Manchester all his married life. They had a daughter, Margaret, and a son, Andrew. He worked for Taylor Brothers in Trafford Park, Manchester, for his whole career. They made railway rolling stock. Allan died on the 30th July 1992 aged 72. Irene died 4 years later.